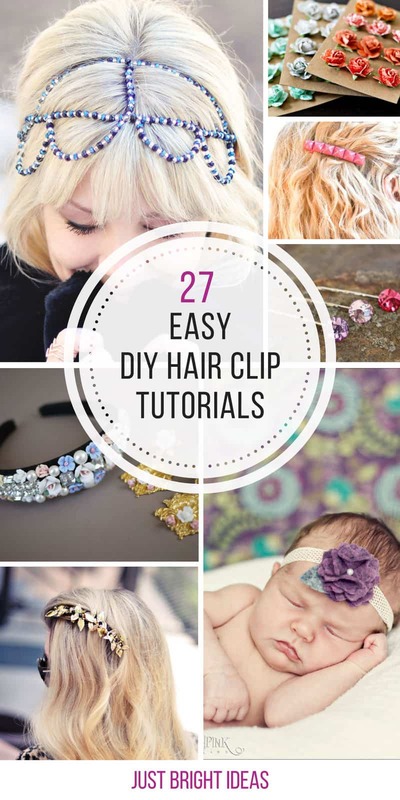 These DIY hair clips and accessories are so easy to make and so much cheaper than the ones you can buy in the store! 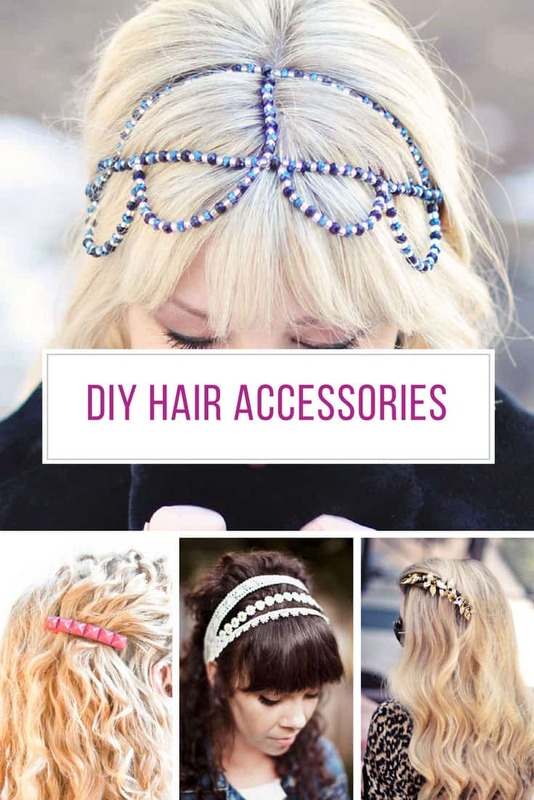 If you love hair accessories but don’t have the budget to buy as many as you’d like then you are going to be totally excited by our collection of DIY hair clips and accessories. 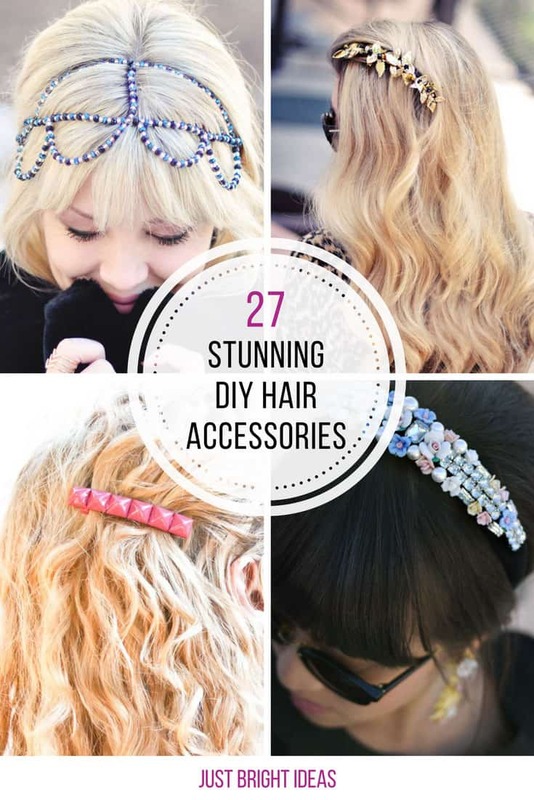 We’ve searched high and low to bring you the best ideas, including video tutorials, to show you how to make stunning barrettes and headbands you can wear yourself or give as gifts to loved ones! 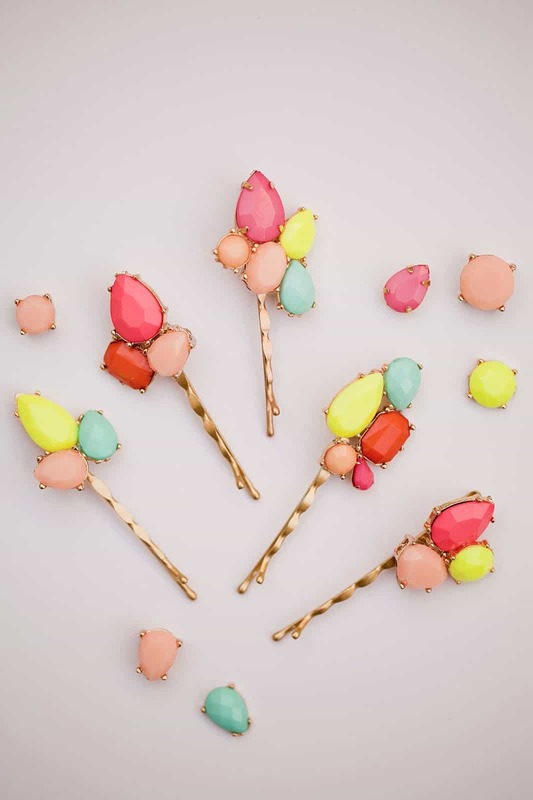 These beaded hair clips are cute and colourful! 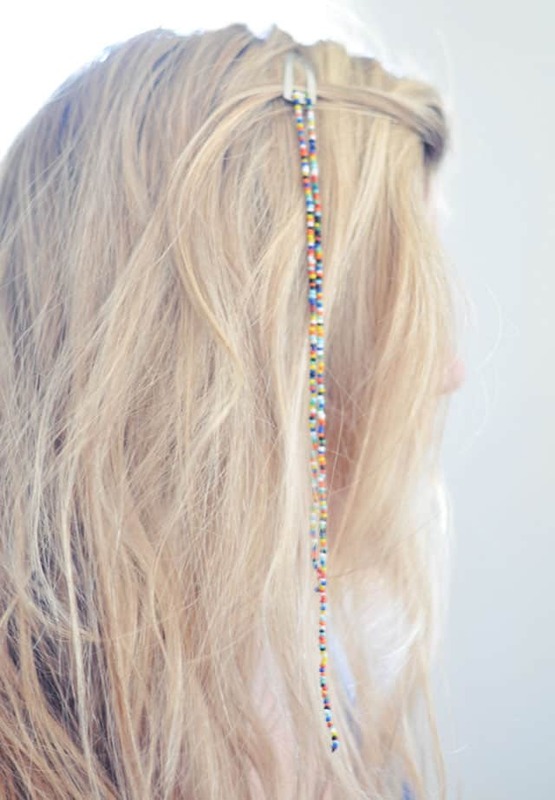 These perler bead hair clips are super fun and would make great stocking stuffers or party bag gifts! ==> perler beads crafts collection! 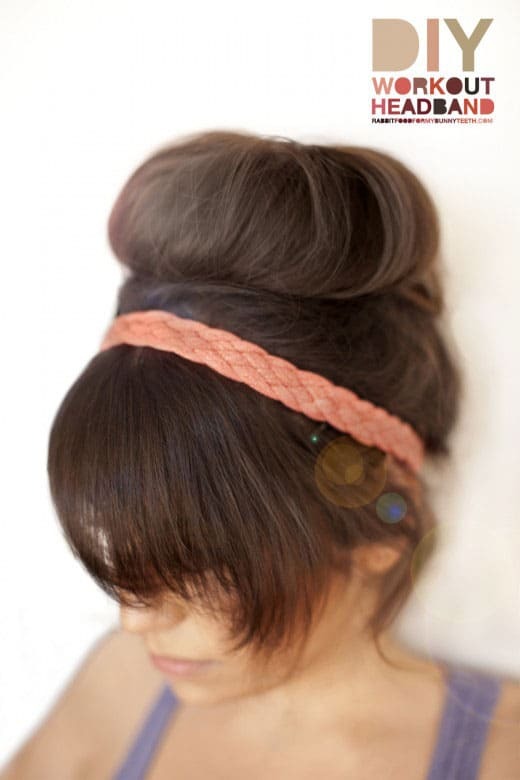 Creaseless hair ties are fabulously colourful and so easy to wear on your wrist until you need to tie your hair back. 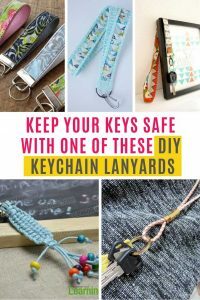 But they’re so expensive – which is why you totally need to know how to make your own! How cool is this? 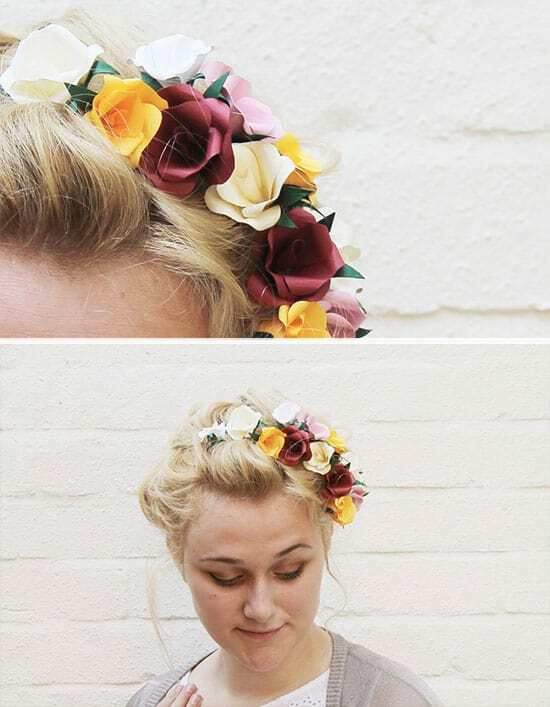 Cute flower hair barrettes that literally take one minute to make! 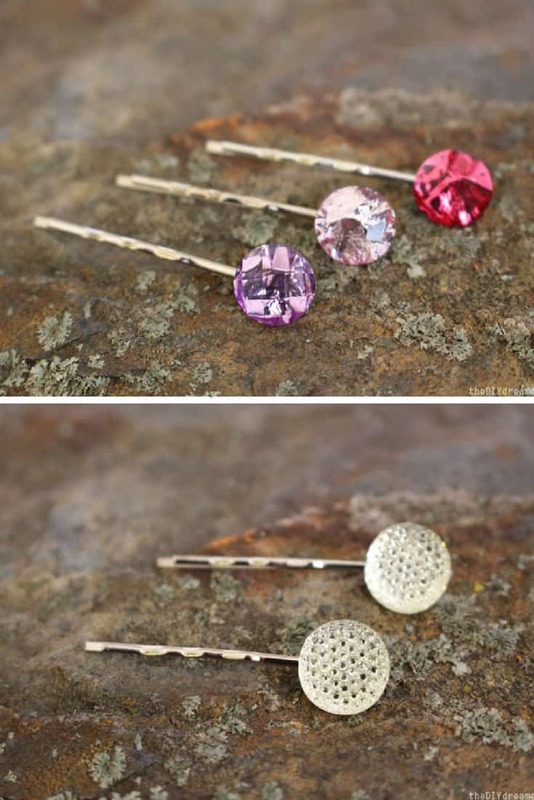 Making your own stylish bobby pins is easier than you might think! 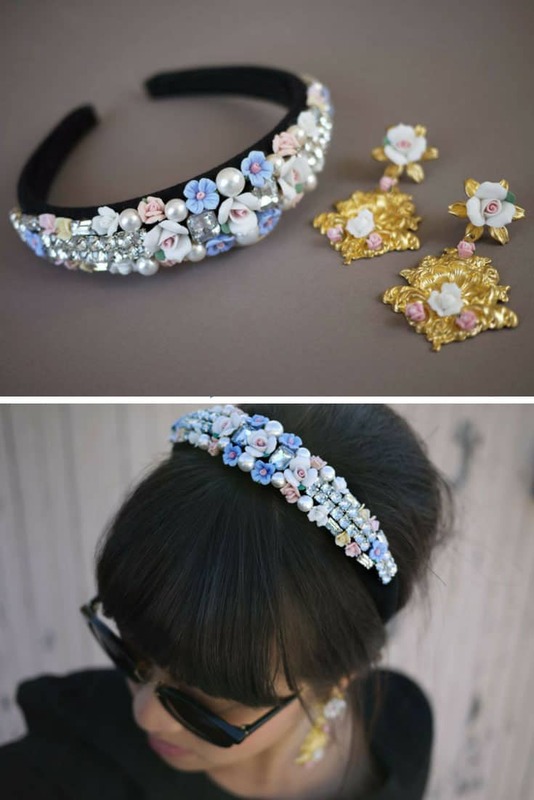 If your budget won’t stretch to D&G hair accessories check out this tutorial to see how to make your own. 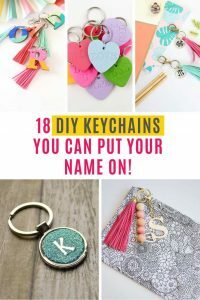 This DIY is so easy you can have a blast making as many different words as you like! 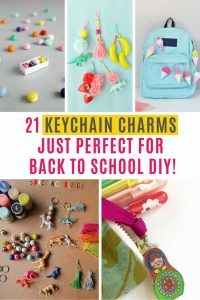 We are totally in love with these studded barrettes and you can make them in any colour you like since they’re coloured with spray paint! 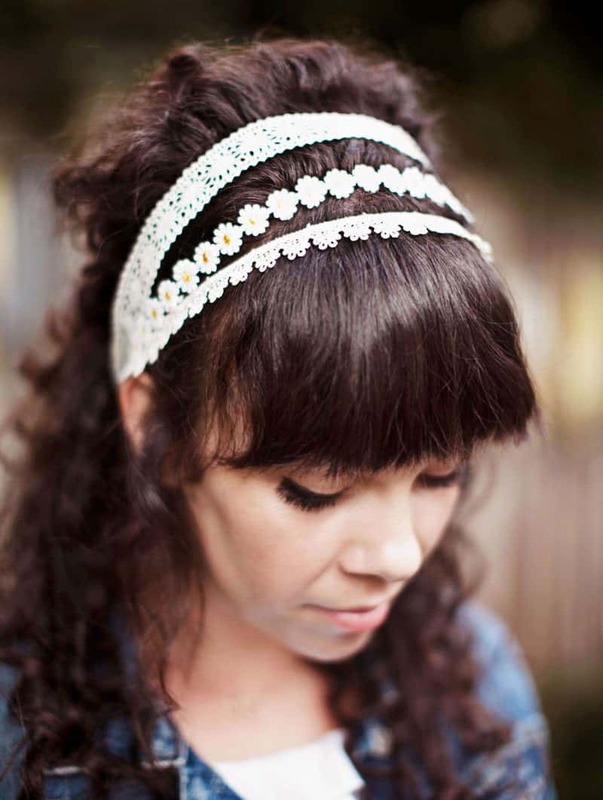 Here’s a super easy tutorial that shows you how to stitch a lace headband in next to no time. 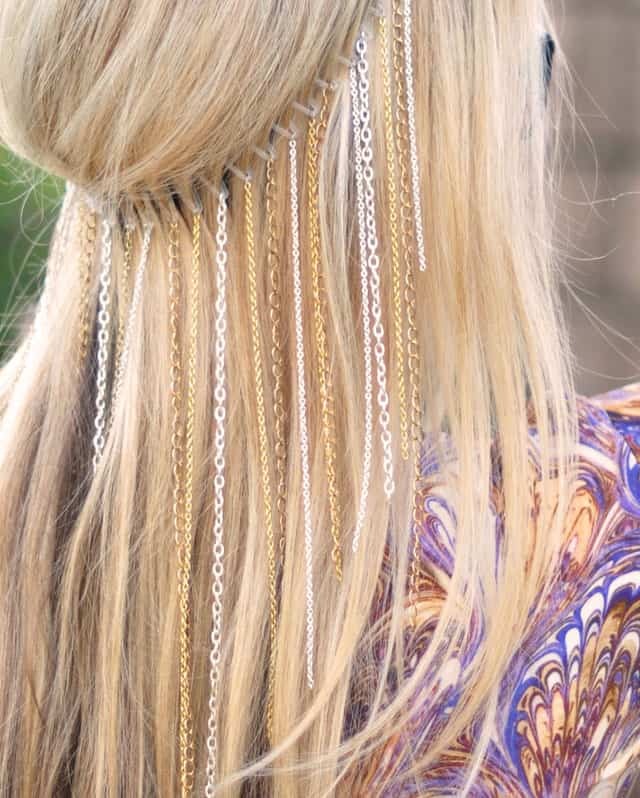 This hanging chains headband looks stunning against long blonde hair, and is really easy to make. 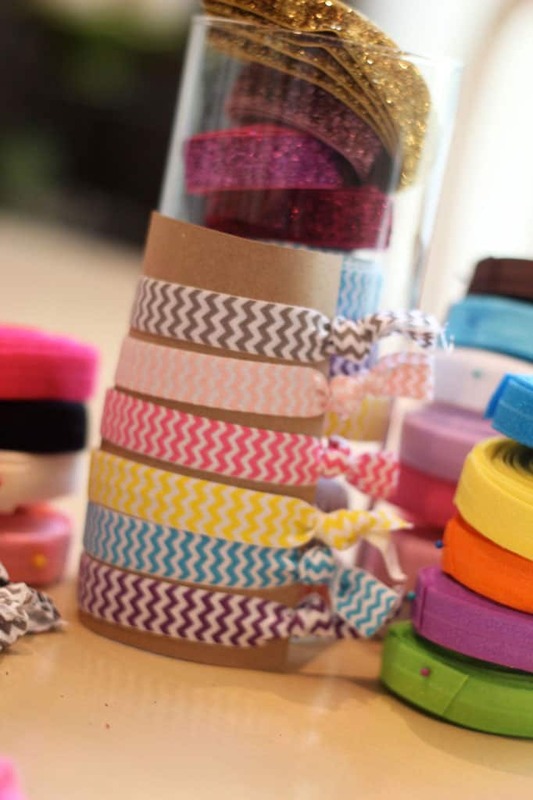 If your daughter is asking for money to buy new hair accessories before she goes back to school show her this video tutorial and then spend an afternoon together crafting! 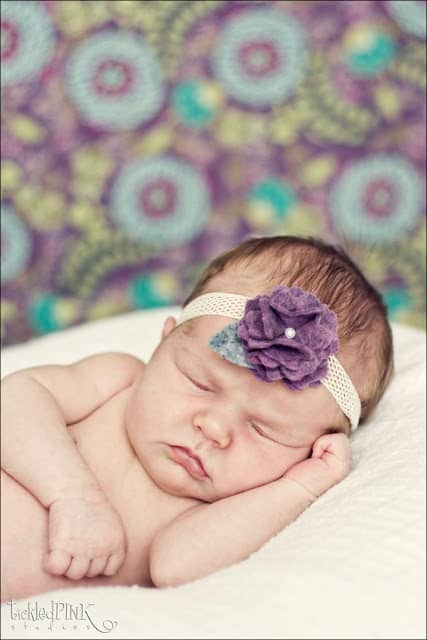 If you’re looking for a unique baby shower gift idea for a mama expecting a girl you HAVE to make one of these felt flower headbands! 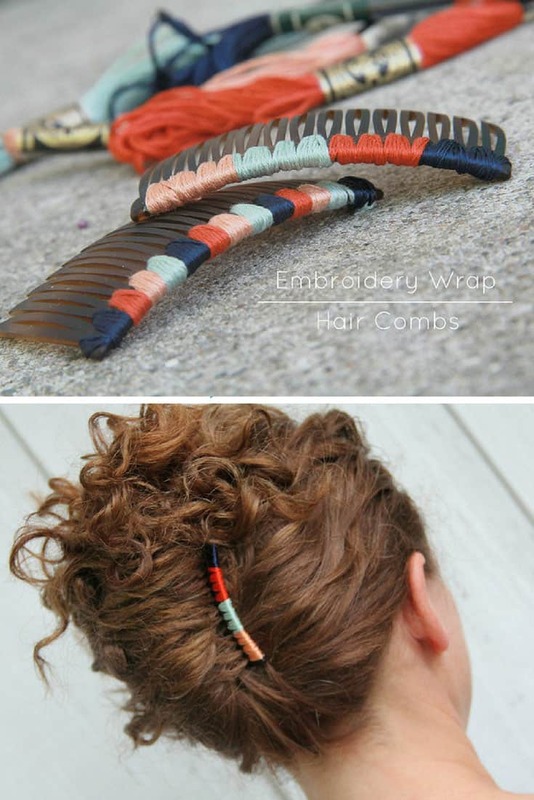 Grab some cheap combs next time you’re at the Dollar Store and then hop over to this tutorial to find out how to turn them into super cute combs. 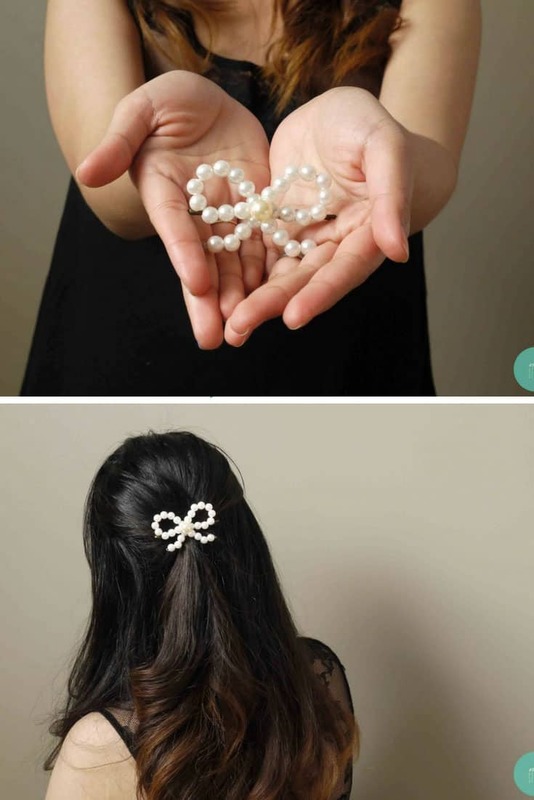 Time to grab the hot glue gun because these pearl hair clips are totally stunning! 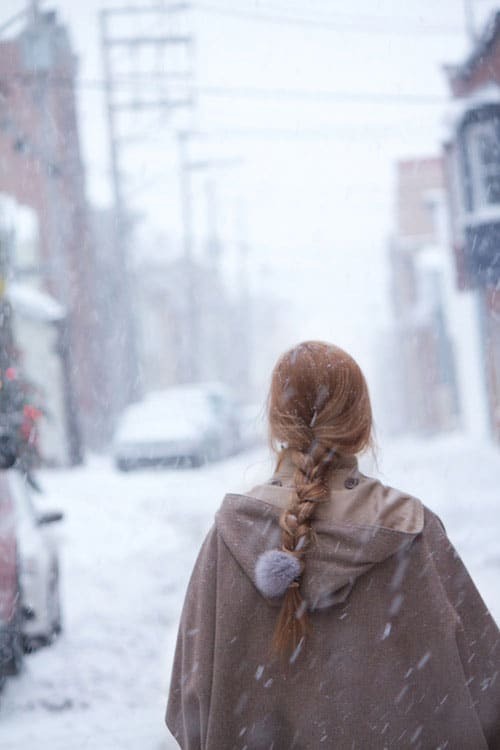 It’s so much easier to cope with snow when you have a super cute fur pompom keeping your hair in check! 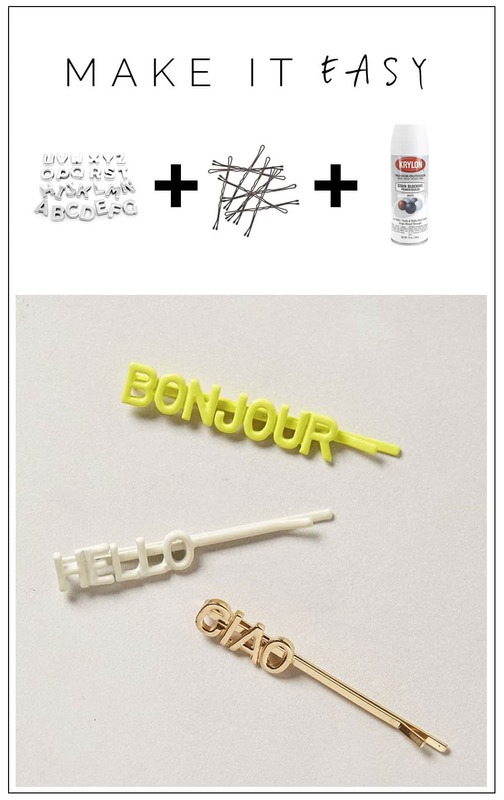 Here’s a great way to turn cheap (or broken) costume jewellery into cute bobby pins! Grab some fake flowers, beads, bobby pins and felt and then watch the video to see how to turn those supplies into a stunning flower hair clip. 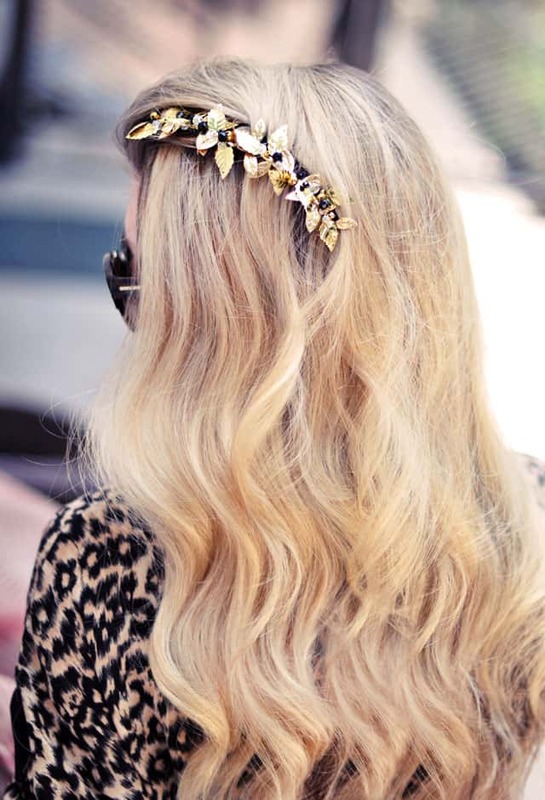 How stunning are these hair clips? And don’t they look sooo expensive? Seriously no one is going to believe you when you say you made them yourself! 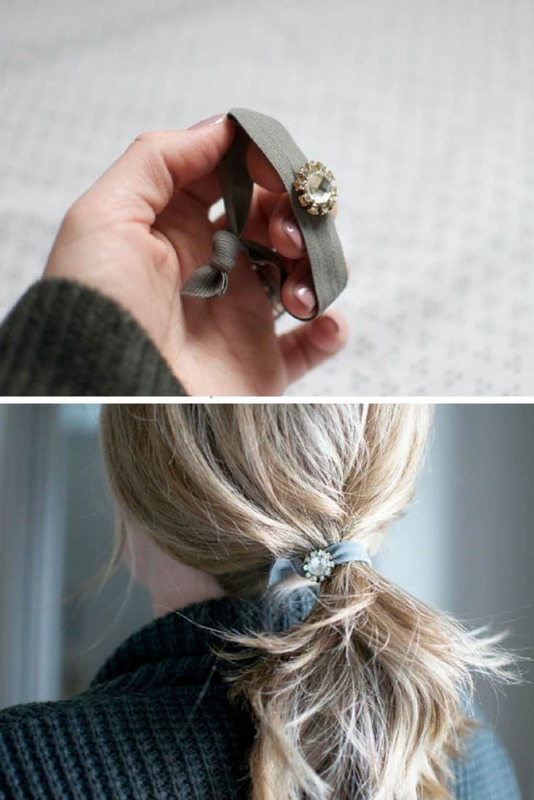 DIY hair clips don’t get any easier than this one! If you have a favourite Tee that’s shrunk or stained and you can’t bear to part with it find out how to turn it into a headband you can wear to the gym! 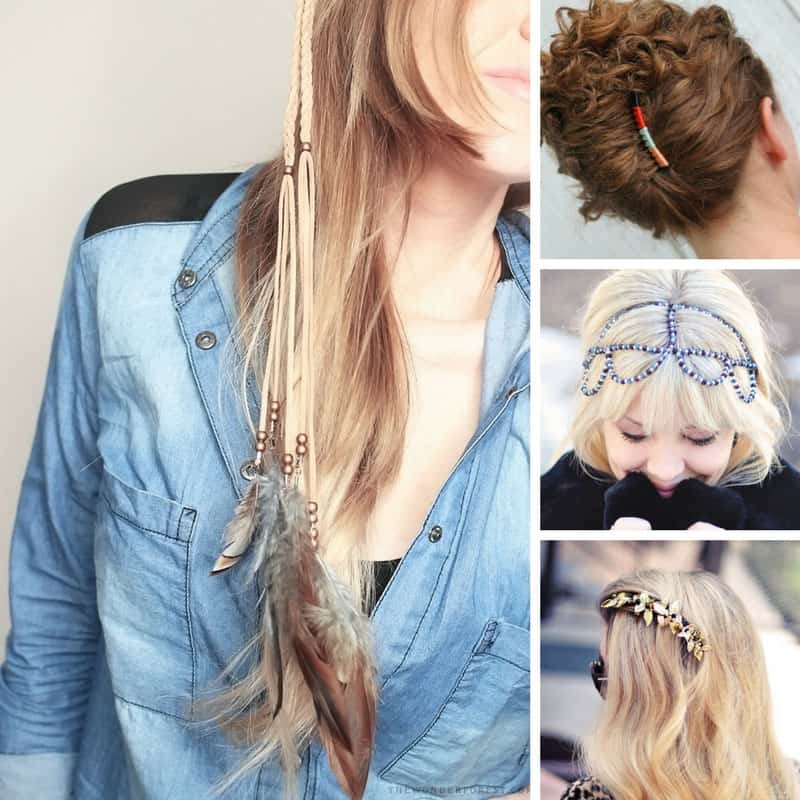 If you’re looking for some boho feathery chic for your hair then this tutorial is the one for you! 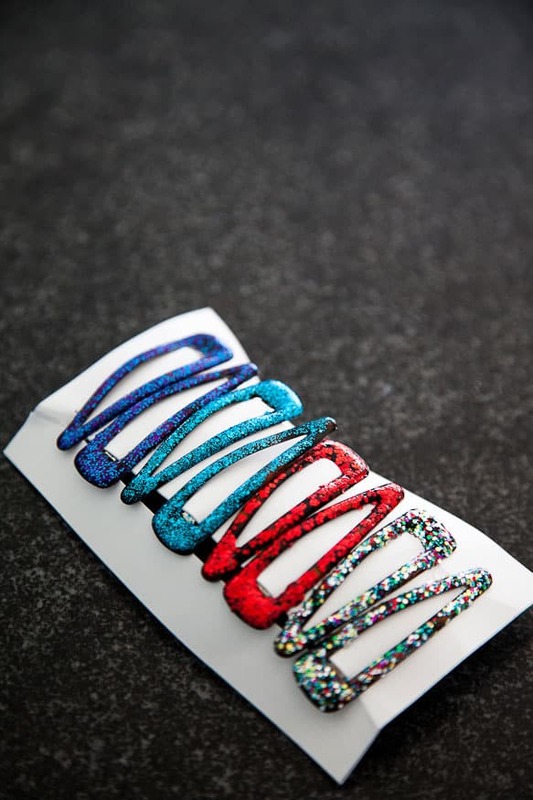 Whether you’re looking for a last minute homemade gift idea or you just want some seasonal hair accessories for the 4th of July or Christmas check out this tutorial for turning plain old barrettes fabulously sparkly! 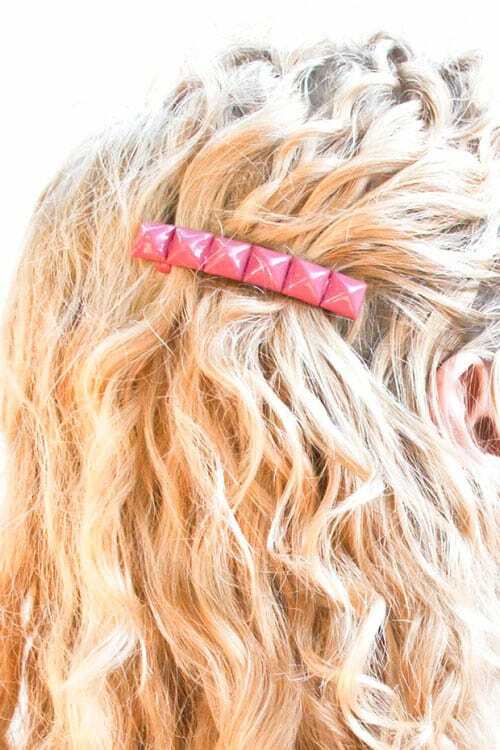 This Rodarte hair clip is simply stunning! If you’re headed to an evening event and need something stunning to wear in your hair check out this beaded headband crown. It’ll take a little patience to create but boy will it totally be worth it! 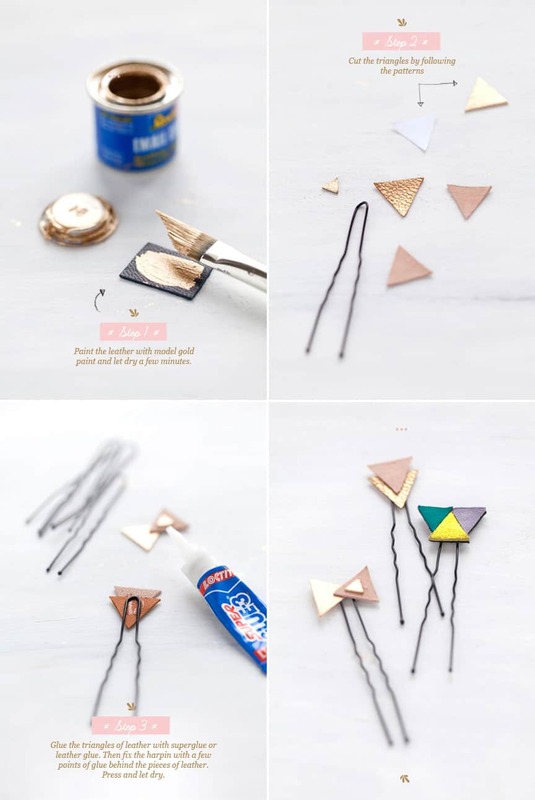 Give a handful of boring bobby pins a makeover with some leather scraps and enamel paint. 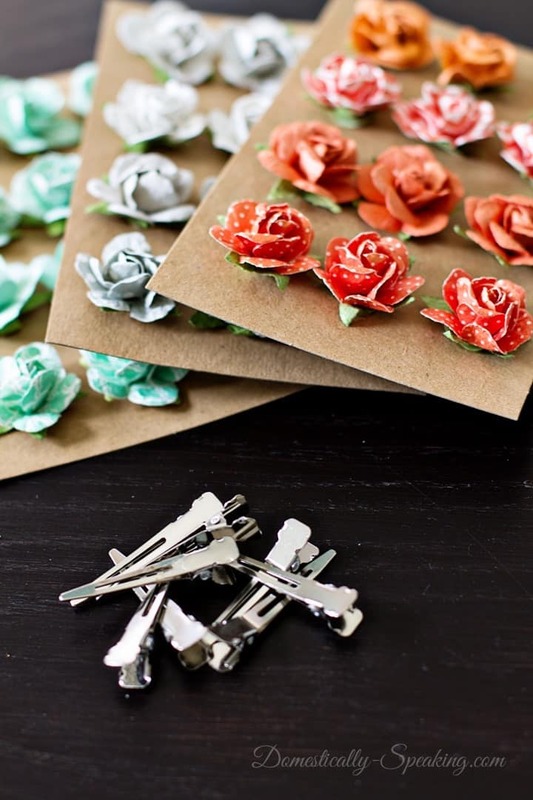 These paper flowers are stunning! 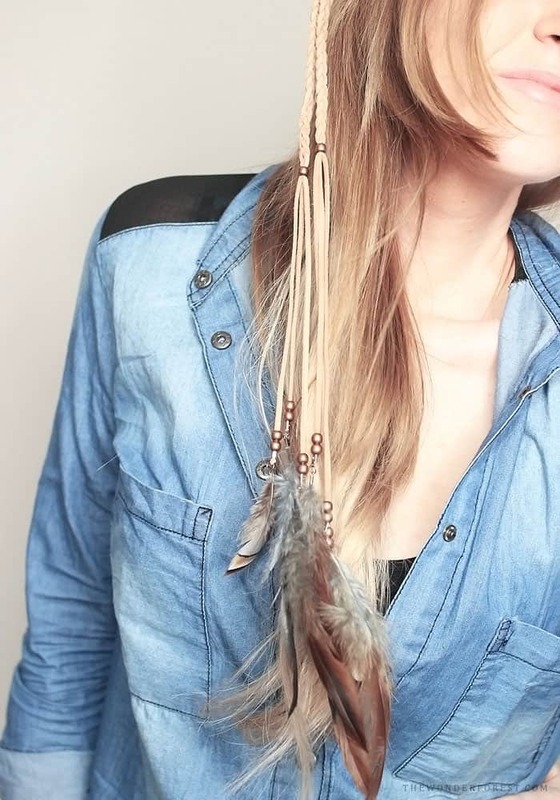 Wear them in a spring crown like fashion or thread them through a braid. 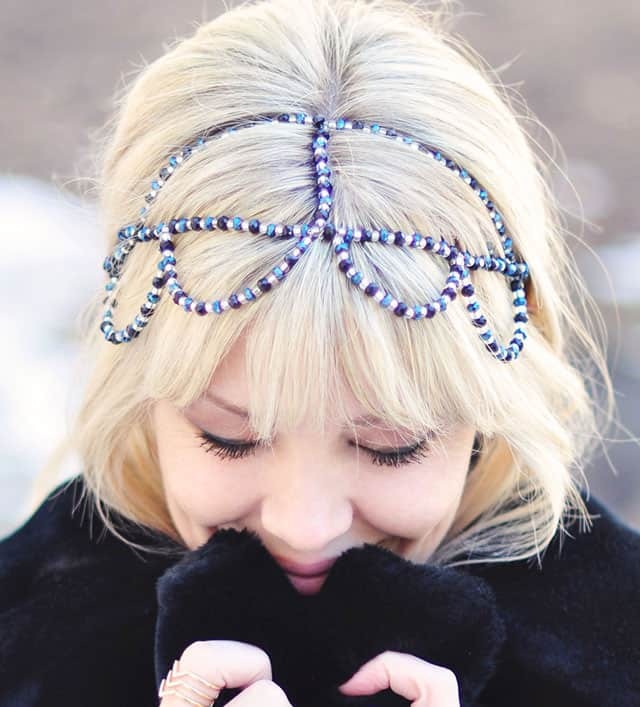 For a totally stunning makeover of a simple barrette add some crystals and quartz!